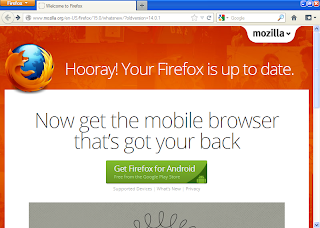 Mozilla firefox one of the best open source software to get better browsing experience. Firefox developer team recently released new stable version called Firefox 15 to all users. Firefox 15 gets some new improvements and features. Firefox 15 makes your Web experience faster by reducing memory usage when browsing with certain add-ons. The improvements make browsing smoother and more responsive. Firefox introduces support for compressed textures, allowing game developers to take full advantage of video memory to build graphics-heavy games without losing performance.